How do you explain to 3 or 4 year-olds that their Daddy just blew himself up trying to take out an oil pump… in the name of Allah? Suicide bombers tried to strike two oil facilities in Yemen with explosives-packed cars, but authorities foiled the attacks and four bombers and a security guard were killed, the government said Friday. The attempts came ahead of this week’s presidential elections, in which President Ali Abdullah Saleh faces a serious challenge for the first time since he became head of state in 1978. They also came days after al-Qaida’s No. 2, Ayman al-Zawahri, issued a videotaped threat of attacks on the Persian Gulf and on facilities he blamed for stealing Muslim oil. 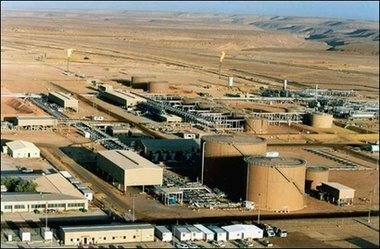 Friday’s attacks happened 35 minutes apart, targeting a Yemeni oil refinery in the northeast province of Mareb and a Canadian-Yemeni oil storage facility at the Dubba Port in Haramut province — scene of a 2002 attack on the French tanker Limburg, an Interior Ministry statement said. Maybe this is the attack that Al-Zawahiri warned the West about. If so, Al Qaeda is in worse shape than we thought.